Category Archives for "Home Appliances"
My wife and I recently invited our friends to our house and had a wonderful potluck. It was a fun night! One of our Chinese friends brought a very wonderful multi-grain soy milk (I know it is weird to bring a soymilk for a potluck, but that just happened). It was made of multigrains and soys, such as green beans, red beans, brown brown rice, yam, and so on. It was so tasty and better than any soymilk or almond milk that you can get in the grocery store. We were wondering how to make it. Our friend, Winnie, told us that it was pretty simple. Just choose types of nuts and grains you want to use, wash them and put them in the machine and press the power, then wait for 20 minutes, and you are all set! YOU DON’T HAVE TO SOAK YOUR NUTS ALL NIGHT! That is the best part of it! We were very impressed by the tasty drink and the simplicity of soy milk machine, I decided to do more research about it. What to look for when buying a soy milk maker? After talking to our friend Winnie and doing my own research, I think these are things I (and you) should consider before you purchase a soy milk maker. Based on these principles, I think Soyapower Plus milk maker is the best on market in 2011. 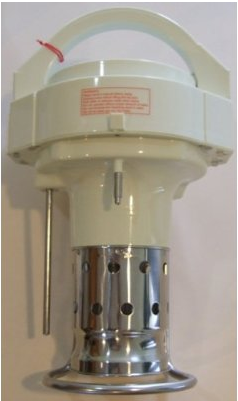 Grinding sytem of a soy milk maker directly affects the quality of the milk you will produce. Though I mentioned earlier that this machine does not require you to soak and cook your beans before putting them in the machine, this machine heats the water and beans before it starts grinding. Some machines do not do this job and you will get very weird taste of soymilk. Other machines may grind beans first and then heat the ground beans and soymilk, but the taste is very beany and is nothing similar to soymilk you get from this machine or soymilk in the grocessary store. Unlike other machines, Soyapower Plus milk maker is filterless! It saves your money from purchasing filters. Though it is filterless, it gives a high quality soymilk. Soyapower Plus milk maker effectively filters the fibers from the liquid, eliminating the need for additional straining, unless desired. 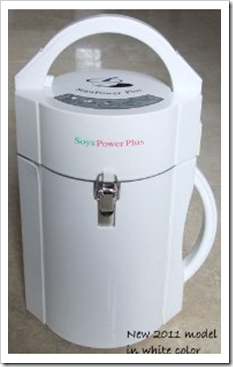 I really like the design of Soyapower Plus milk maker. This is a HUGE PLUS and means that it saves you tones of time cleaning it. When you clean Soyapower Plus milk maker, it is really simple. Toss the beans (some people use these beans to make dishes though) and wash the main pitcher, then you are all set! If you check out other soymilk machine, you will see that a lot of people complain how tedious and difficult to clean filters. Soyapower Plus milk maker does not give you such a hassle. Insulation is an important feature that I am looking for when I review soymilk machines. First, I usually put everything in the machine and then do my work. After an hour or two, I go to get my soymilk. I like Soyapower Plus milk maker because it keeps my soymilk warm. Second, the insulating plastic is really good so I will never burn myself if I touch it. We do not have kids now but we plan to, so we do not want any accident. Another thing that might be related to insulation is that Soyapower Plus milk maker is super quiet when it grinds. I used to make soymilk using a blender and it was such a nightmare. It is not only noisy but also hard to clean. You can definitely make your soymilk in the evening without waking your kids up! To me, warranty means a company’s confidence in their product. 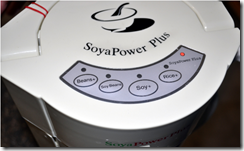 Most soymilk machines provide only 1 year warranty, but Soyapower Plus soy milk maker has a 2-year warranty included! I have not yet used their customer service or tech support, but Amazon customers provide positive feedback on their service. I personally really like its safety design. As I mentioned earlier, its insulation system is good and prevent you from burning yourself. In addition, the head unit clams to the pitcher, it also decreases the opportunity of knocking the head off the pitcher. Soyapower Plus soy milk maker is UL listed. UL is a independent global non-profit safe science company, and UL has developed more than 1000 standards of safety. 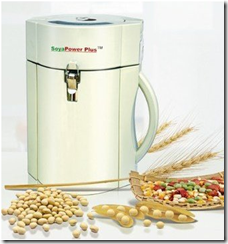 Soyapower Plus soy milk maker is UL listed, meaning that it has more safety features than I can observe! So safety will not be your concern if you use Soyapower Plus soy milk maker. Because of space-wise thinking, I used to make soymilk using my blender. I did not know my life could be easier before I tried Soyapower Plus soy milk maker. I was resistent to purchase Soyapower Plus soy milk maker because I thought I could only make soymilk. I love to make multigrains/nut/soymilk, and I do not want this machine to limit myself. How wrong was I! Soyapower Plus soy milk maker gives four options to make other drinks. With these 4 pre-programmed buttons, you can easily make perfect non-dairy milks and from nuts, beans, grains, rice, seeds and any combination of them. Some Amazon customers are not clear about which button they should choose if they want to make nuts milk. According to the company’s response, you can use soy+ option to make almond milk or other nuts milk. 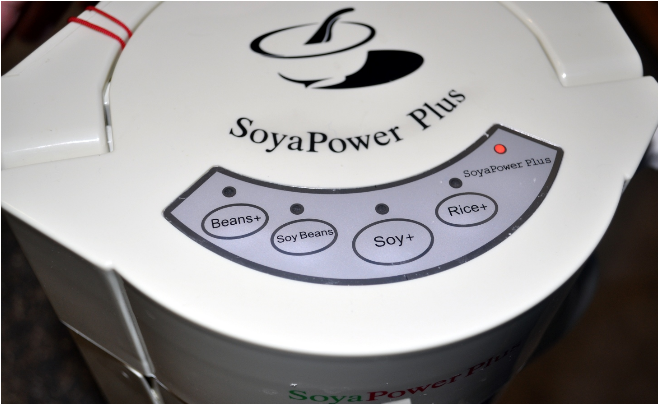 Soyapower Plus soy milk maker has 82 customer reviews on amazon and the average amazon rating is 4.8 out of 5. Those reviews stress the machine’s quietness, short cycle length (20 minutes), ease to clean up, ability to make good soymilk, and so on. Here are some comments to date. It makes soymilk as advertised as well as giving options to make other drinks. The machine performed as expected and cleaned up in under 2 minutes. I would highly recommend this product. It makes great soymilk! I really like the milks made with soybean and rice or oats. The only concerns that some Amazon customers share in common is the taste of soymilk. Some customers report that it has an “eggy” taste or eggy smell, but it is an easy fix. First, try ORGANIC soybeans. Trust me, it makes a hugh difference. It gives you a better taste and I feel my soymilk is somehow thicker. If your soybeans are in good quality, you should not feel any weird smell or taste. By any chance if the smell or taste still exists, try to put barley with your soybeans. I highly recomend Soyapower Plus soy milk maker and do not think that the taste should be a reason not buying it. 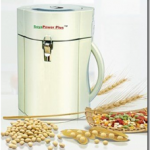 Where can you buy Soyapower Plus soy milk maker? You can buy this Soyapower Plus soy milk maker from Amazon. At the moment they include free shipping and from what I can tell when comparing prices with other online merchants, Amazon do currently have the best deal especially with the free shipping option. Click here to view on Amazon. My wife and I had been using Dyson vacuum cleaner for several years, but it suddenly broke and we decided to check out the range of vacuum cleaners and purchased one for ourselves. Initially, we assumed that all vacuum cleaners were large and heavy animals, but guess what? 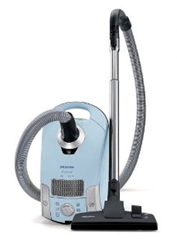 We found our favorite lightweight vaccum cleaner so far: Miele S4212. I have to confess that I have never heard about this brand Miele before our purchase, but we are so glad that we find this lightweight but powerful and quiet vacuum cleaner that totally meets our needs and surpasses our expectations. It is a great value but for maximum satisfaction. 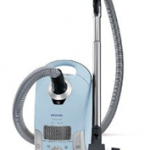 What to look for when buying a vacuum cleaner? These are six things we look for before we purchase. I have more to say but I decide to keep it simple and less technical as possible.